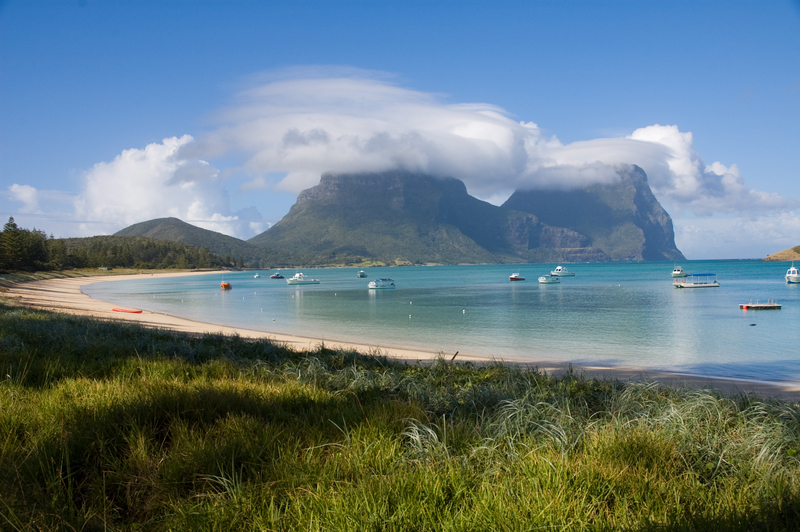 Situated 373 miles east of the Australian mainland, Lord Howe Island is a 6 miles long volcanic remnant designated by UNESCO as a World Heritage Site of global natural significance. It is home to dramatic and varied landscapes, untouched wilderness areas, and a number of important endemic species resulting from its isolation. It is also considered one of the ‘cleanest’ places on Earth with little sea, land or air pollution. The island offers visitors a pristine environment to explore – trek, swim, dive, and snorkel - and the opportunity to witness species found nowhere else on the planet. 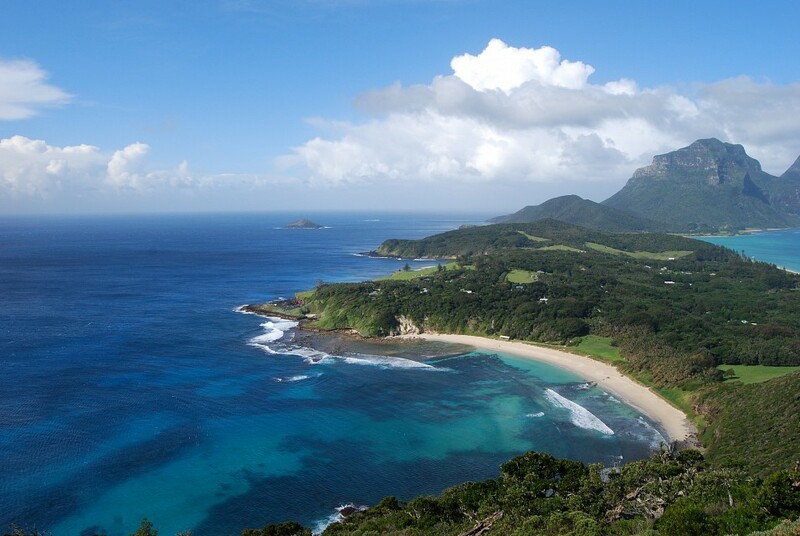 In 1981, the Lord Howe Island Act established a Permanent Park Preserve over around 70% of the island, followed in 1982 by UNESCO’s recognition of its beauty and biodiversity, and the declaration of a Marine Park in 1998 to protect the surrounding marine environment. Its World Heritage Listing includes the main island, as well as offshore islets covering around 1,455 hectares of land and 145,000 hectares of marine environment. Today, around 75% of the island remains pristine wilderness, including beaches, coral reefs, and marine ecosystems. 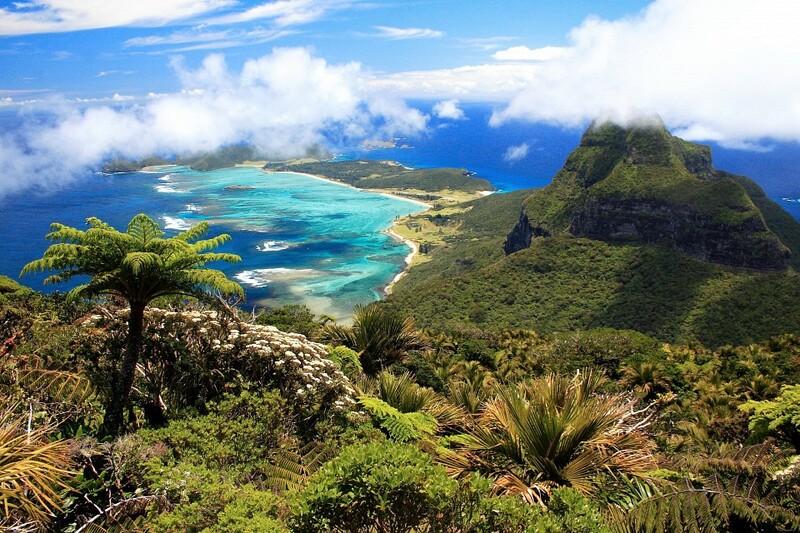 Lord Howe Island is the remnant of a 7 million year old shield volcano that has been heavily eroded to around one fortieth of its original size. 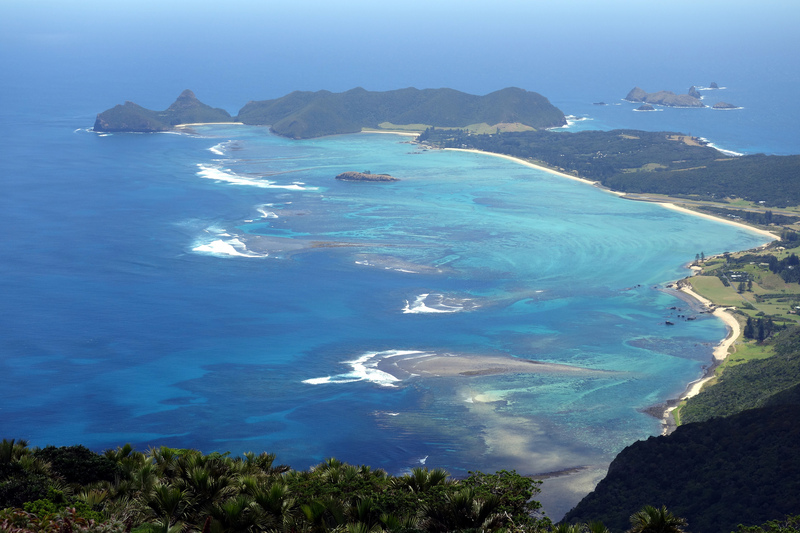 It is part of a longer chain of islands along the Lord Howe Rise , extending 1,864 miles across New Zealand to the west of New Caledonia. Most of the island’s features were formed during two periods of volcanic activity – one, 6.9 million years ago forming the northern and central areas and one, 6.3 million years ago, resulting in the southern features seen today. A number of volcanic features, including lava intrusion dykes, basalt strata, and pyroclastic remnants can be seen throughout the island. Its crescent shape shelters a coral reef lagoon and white sandy beaches while both the northern and southern sections exhibit elevated areas of untouched forest. Mount Lidgbird and Mount Gower in the south are two volcanic mountains separated by the Erskine Valley saddle, while Malabar and Mount Eliza in the north are home to the majority of the island’s population and cleared farming areas. Continual erosion of the island is relatively rapid and it is thought that within 200,000 years it will be fully submerged. 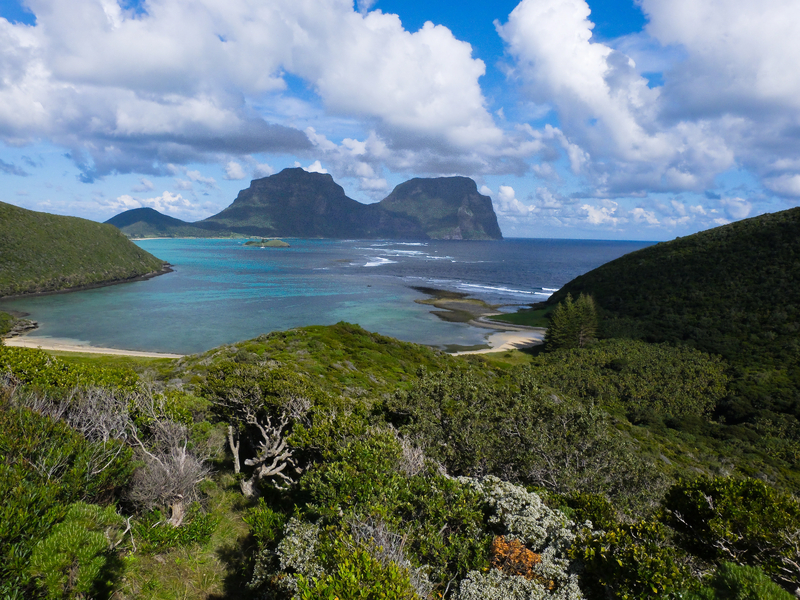 Almost half of Lord Howe Island’s native plants are endemic to the island and combine to form a distinct ecoregion called the Lord Howe Island subtropical forests. As the island was never part of any continent, it is believed that its flora colonized the island by wind, water or bird dispersal across the sea. 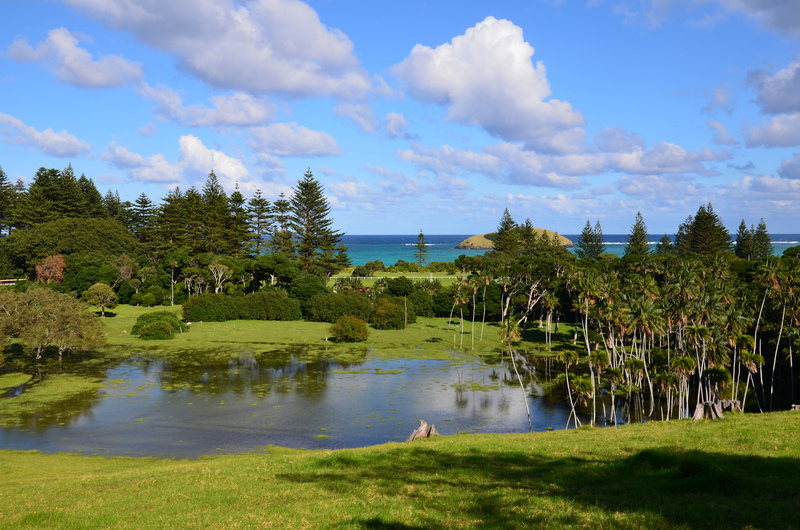 A number of its plants are similar to those of Norfolk Island and more similar to the vegetation of New Caledonia and New Zealand than Australia. Diverse landscapes ranging from valleys and plains to ridges and misty mountain tops have resulted in an equally diverse vegetation. Microhabitats line the slopes from sea to summit where true cloud forests have evolved. Some of the most distinctive plants include the buttressed-trunked Banyan tree, teepee prop-rooted Pandanus, and Kava bush. In many places, palms dominate the landscape with the Curly Palms and Kentia Palms of particular significance and the latter being of special economic importance to the island. Lord Howe is also home to ten species of orchid, as well as mountain rose and the bright orange flowers of the pumpkin tree. Unlike the Australian mainland, Lord Howe Island does not house the dangerous animals, such as snakes, venomous, and stinging insects, or sharks, that traverse the rest of the country. Instead, it is home to one native mammal, the large forest bat, and two native terrestrial reptiles, the Lord Howe Island skink and the Lord Howe Island gecko. The introduction of rats severely impacted the invertebrate population and while the Lord Howe Island stick insect is on the verge of being reintroduced, the endemic Lord Howe flax snail is now endangered and in a captive breeding program. Bird life on the island is abundant with 202 species including 18 species of land birds and many migratory species. Bird Life International has identified the island as a special Endemic Bird Area because of the importance of the species it supports. Fourteen species of seabirds breed on the island, including providence and kermadec petrels that are abundant during winter, while flesh-footed and wedge-tailed shearwaters return to the island at dusk each day during the cold season. Masked boobies, sooty terns and the common and black noddies are also found throughout the island. Feral cats and rats decimated bird populations until their removal during the late 1970s and early 1980s. A number of bird species were raised in captivity and reintroduced to the island and populations have now improved significantly. Marine animals include temperate, subtropical, and tropical species - a result of the mixture of currents that flow around the island. More than 490 fish species have been recorded, of which 13 are endemic, and more than 80 coral species found within the surrounding reefs. 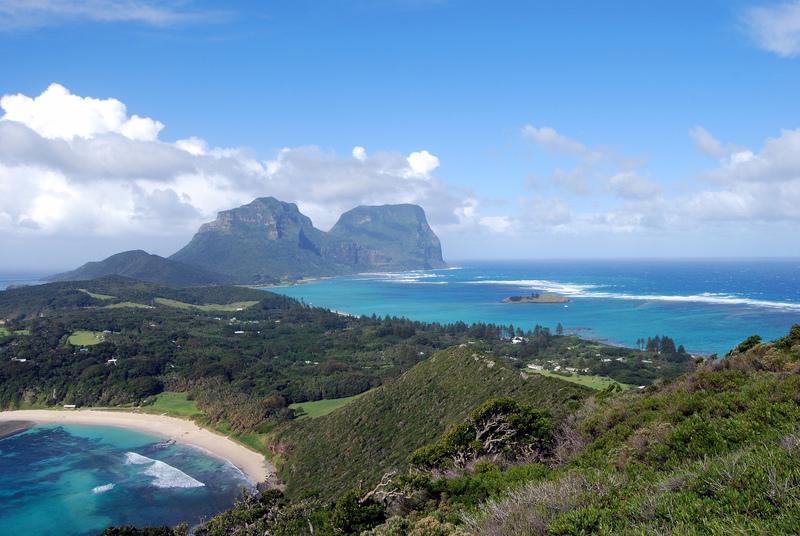 Lord Howe Island is accessed either by private yacht or flights with QantasLink from Sydney or Brisbane. Flights depart most days from Sydney Kingsford Smith Airport , starting at around $ 500 USD one way, and on weekends from Brisbane at around the same price. Seasonal weekly flights from Port Macquarie – the closest mainland regional center. Walking or bike riding is the best way to explore the island and take in its breathtaking scenery. Bikes can be hired for around $ 10 USD per day while cars are available for $60 per day, plus fuel costs. 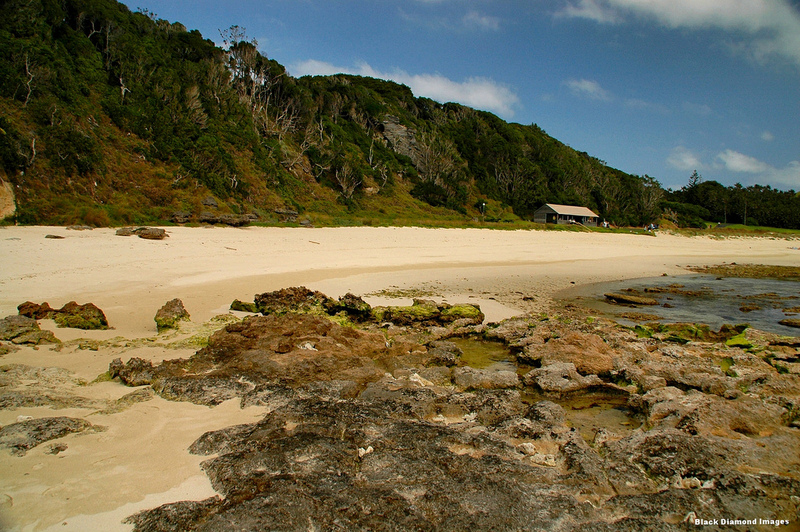 Hikes range from 1-2 hours along beaches and through kentia palm and banyan forests, to the challenging Mount Gower climb, considered one of the best day treks in the world. It is the island’s highest mountain and the trek incorporates rope-assisted climbs and sheer cliff drops. 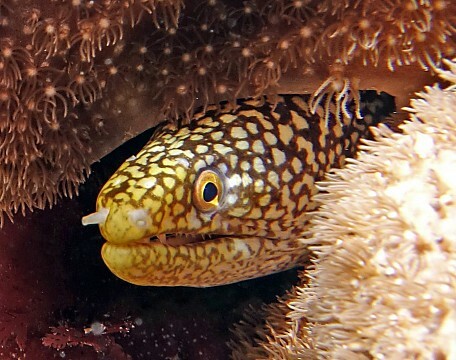 In addition, the surrounding reefs offer exceptional snorkeling and diving opportunities with local operators, while angling is a favorite sport in the abundant seas. Accommodation is strictly limited to 400 beds to keep tourist numbers at a sustainable level and maintain the island’s unique environment. Prices start at around $ 50 USD per person for a cottage off-season and rise to around $ 900 USD per person during peak season for a luxury villa. Because of restrictions accommodation must be booked ahead of time.